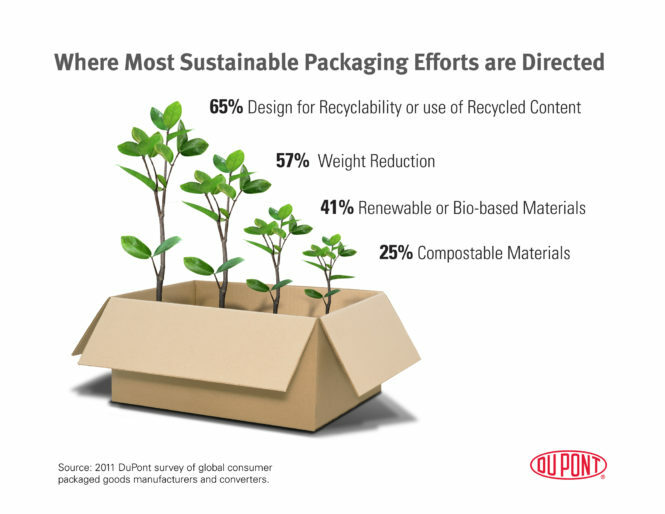 Responding to a call for sustainable practices and environmental consciousness at all levels of the packaging supply chain, manufacturers and their packaging partners continues to align with customers as an important issue. For example, when McDonald’s gets behind a consumer cause, you can be sure the mission has come into the mainstream. So is the case with sustainable packaging – an important collective concern for shoppers, producers and companies responsible for designing and bringing packages to market. The fast food giant recently shared a pledge to procure its fiberboard exclusively from recycled or certified sources by the year 2020. The resolution is a follow-up to a recent announcement identifying the burger empire’s European packaging as completely sustainably sourced. The commitment from McDonald’s illustrates a trend among stakeholders, in which players from diverse industries work as a united front with consumers, sharing responsibility for packaging and its impacts on the environment. While the massive scale of the McDonald’s effort makes it an interesting case study, businesses of all sizes are contributing to the growing awareness and demand for responsible production practices. According to some experts, sustainable packaging trends will continue expanding in the following key areas. Related to various production practices, manufacturers and packaging companies are working with organizations like the SPC to improve carbon performance. Pledging to further reduce carbon footprints in 2016, industry-leaders are focused on greenhouse gas emissions as a metric for progress. Though it is only one standard by which to evaluate, carbon reductions typically accompany additional gains, in other vital environmental indicators. Recycling is an important waste reduction strategy, familiar to consumers and effectively engrained in supply chain practices. In addition to expansions in the use of recycled materials, companies will continue to adopt measures aimed at additional waste reduction mechanisms. Since waste control translates to increased profitability, in many cases, supply chain partners have a vested interest advancing responsible behavior. And with technological capabilities growing faster than regulatory oversight can manage, self-monitoring is an important part of the process – calling on producers and packagers to measure performance and stay accountable. Ideal containers in many respects, edible packages are used to provide protection and support during transport and display, without leaving a trail of plastic and paper material behind. Certain edible plastics, for example, are made from biodegradable materials, so even if not eaten by humans, the material is easily broken-down by microbes. One commercial version requires 60 days for its 6 natural ingredients to fully degrade in soil. For use on a wide scale, edible packaging still faces hurdles, like image and durability. The novel approach will continue to gain ground, however, as technology and consumer perception stimulates new possibilities for consumable containers. Flexible packaging, in particular, has recently exploded into every consumer category. And though new film technology and other advances continually expand the realm of possibilities, brands committed to sustainability must ensure progress doesn’t generate excessive materials waste. Not only does excess material add transportation and production costs, but disposal expenses add-up, according to the total volume of packaging material moving through the consumer cycle. Efficiency and cost-effectiveness remain central to production planning, but producers and packagers must also account for their images among buyers, who actively seek sustainable packages. Increasing numbers of shoppers identify environmental logos and labeling as important influences on their buying decisions, highlighting deepening commitment, which shows no sign of waning. And the global reach of the sustainability movement further fuels demand for information about sourcing, materials and manufacturing methods. Producers dedicated to reducing packaging volume gain a competitive edge, acknowledging consumer values and furnishing containers their customers approve of. Creating a circular flow of packaging, whereby natural sources support a fully sustainable system, relies on technology capable of turning biological matter into useful containers. Fully compostable packages are already a reality, grown entirely of natural substances and agricultural waste. The field and definition of eco-packaging continue to evolve, however, as innovators pursue new possibilities. 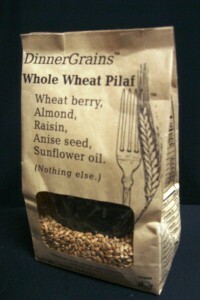 The notion now goes well beyond using environmentally friendly materials when packaging consumer goods. On the contrary, research and development now enable plant-based packaging alternatives, which were not part of the ‘green’ conversation even a few years ago. Paired with designs aimed at reducing materials as well as growing numbers of recycling options, eco-packaging now encompasses sustainable philosophies, methods, and the advanced technology driving the environmental movement. Coca-Cola, for example, recently announced development of a 100% bio-based PET bottle, in development stages. Lightweighting and recycling remain central to global sustainability markets. For years, effective packagers have led the way reducing volume and maximizing reuse opportunities. Despite substantial efforts made toward reducing weight and using better materials, the sustainable packaging trend continues to advance, calling on producers and packagers for transparency and environmental accountability. With the help of technology and shared responsibility across the consumer goods supply chain, partners will continue to expand responsible practices in 2017 and beyond, developing packaging alternatives in-line with consumer values.